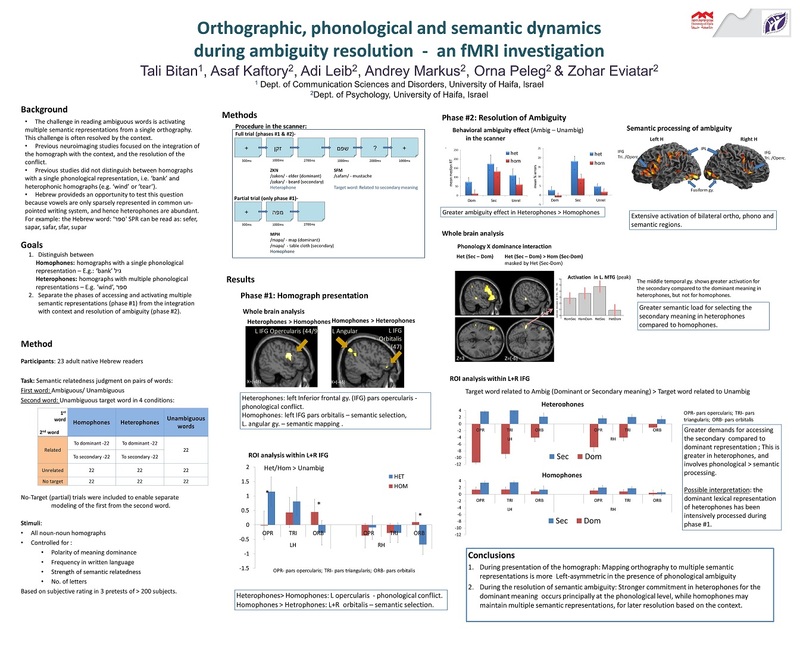 Bitan, T., Nevat, M., Daher, Q. and Levenberg, K. (Oct. 2013). International conference on multi-lingualism, Montreal, Canada. 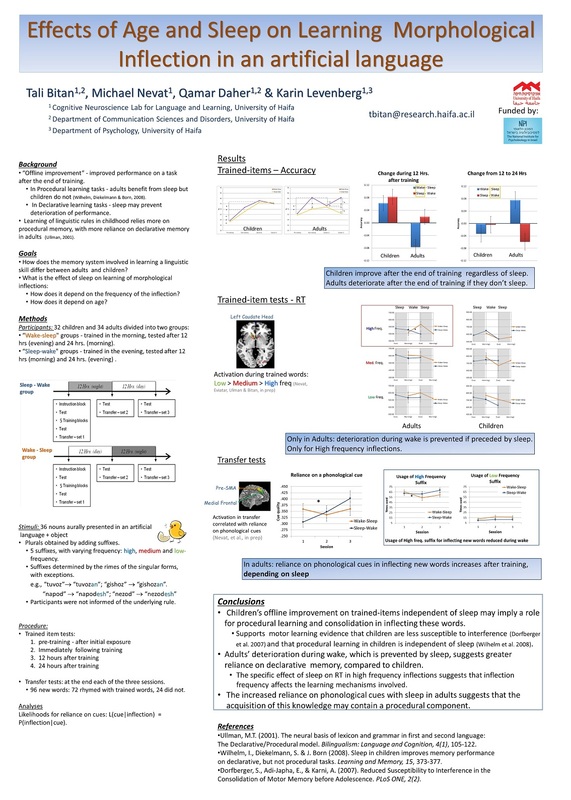 Effects of age and sleep on learning morphological inflections in an artificial language. 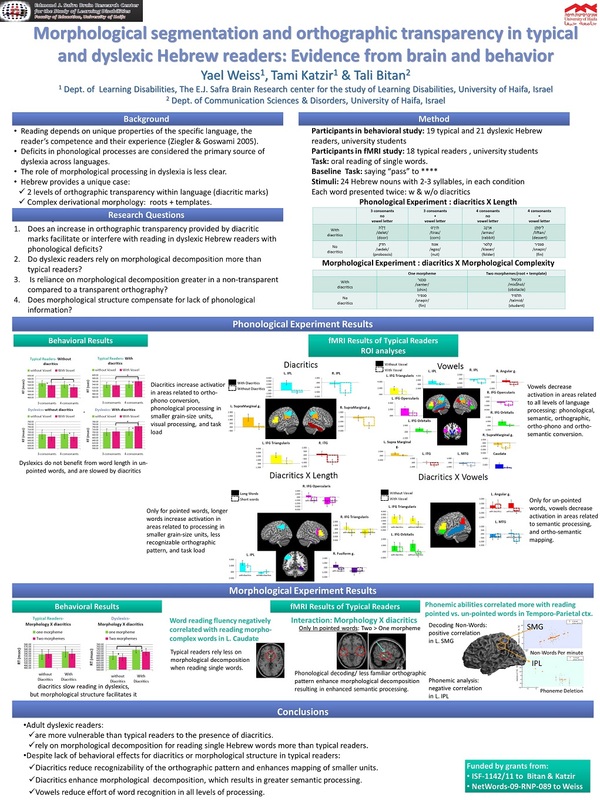 Bitan, T. Weiss, Y. Katzir T. (Oct. 2012) Neurobiology of Language, San Sebastian, Spain. 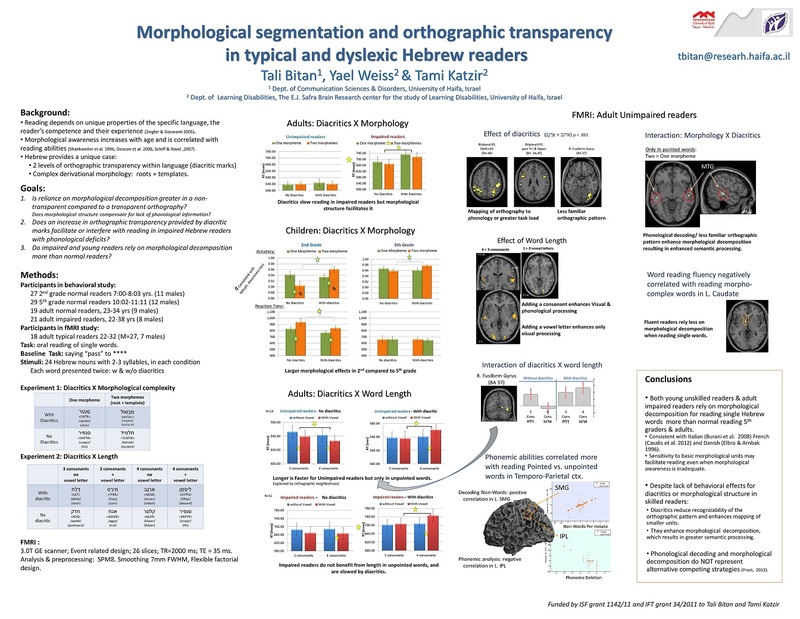 Morphological segmentation and orthographic transparency in typical and dyslexic Hebrew readers.